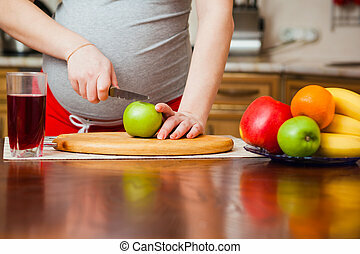 Pregnant woman cutting orange. 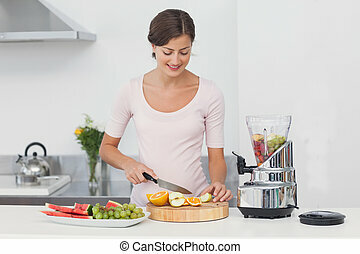 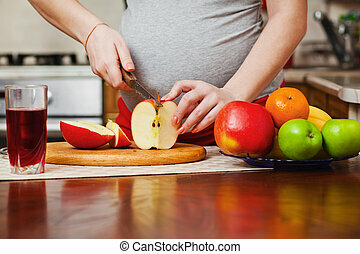 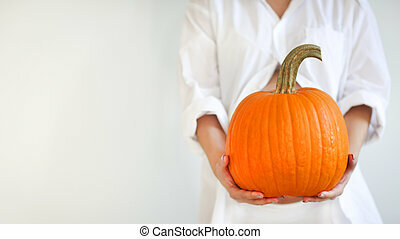 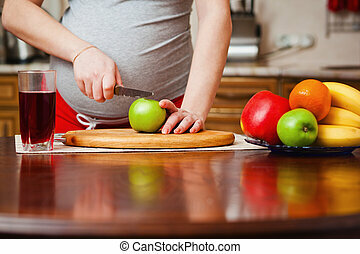 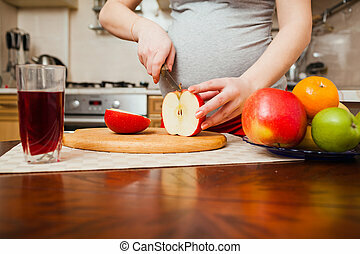 Young pregnant blonde woman cutting orange in kitchen. 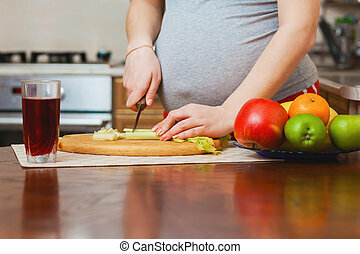 Young pregnant blonde woman drinking juice on background.